LOS ANGELES (Reuters) - Marvel Comics mogul Stan Lee won renewal of a protective order on Friday against a onetime business manager accused of subjecting the 95-year-old "Spider-Man" co-creator to elder abuse after taking charge of his affairs earlier this year. Keya Morgan, a New York-based memorabilia collector who became involved with Lee following the death of Lee's wife last year, must stay least 100 yards (91.4 meters) away from the Marvel magnate for the next three years, the restraining order states. The order further requires Morgan, also known as Keyrash Mazhari, to stay away from Lee's daughter, Joan Celia "C.J." Lee, 68, and his 86-year-old brother, Larry Lieber. 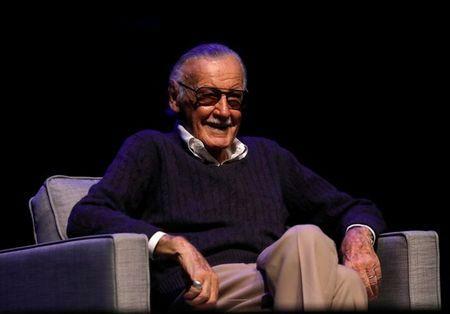 "Stan Lee and the Lee family are happy that the court saw fit to try to prevent further intrusion into the personal life and affairs of Mr. Lee," his lawyer, Jonathan Freund, told Reuters by phone. Lee is co-creator of "Spider-Man," "Iron Man," "The Hulk" and dozens of other superheroes that have become mythic figures in U.S. pop culture with soaring success at the movie box office. Recognized by fans for his cameo appearances in each of Marvel's live-action films, Lee has an estate worth some $50 million, according to previous court documents. A previous restraining order issued in June against Morgan was dismissed in July over confusion about Lee's legal representation. Freund said Friday's action essentially renews and extends that order. The original petition and supporting documents alleged Morgan seized control of Lee's home and hired security guards with orders to keep away trusted relatives and associates of Lee before moving him from his longtime home to an unfamiliar condominium. In doing so, the petition alleged, Morgan was "unduly influencing" and "isolating" Lee, contrary to a video Lee himself posted to Twitter in June describing Morgan as his "only partner and business manager." Morgan has denied allegations of abuse. But he was arrested in June on suspicion of making a false police report for placing an emergency 911 call for a burglary in progress at Lee's home. The call was made after two police detectives and a social worker arrived to check on Lee's welfare, according to a police affidavit filed with the original petition. Freund said Lee was now back home and managing his own affairs with help from his daughter and others on his "team," while he "continues to try to work a little every day...to develop new characters and stories." "I believe his health is improving," Freund said, adding that the stress of the past nine months "took a toll."